-vol. 16, no. 65 (January 7, 1909). 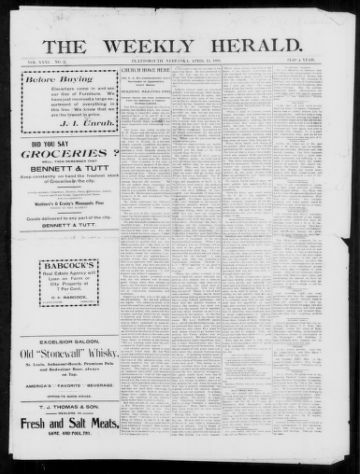 Continues numbering of: Semi-weekly news (Plattsmouth, Neb.). Description based on: Vol. 3, no. 62 (April 17, 1895); title from masthead. Formed by the union of: Plattsmouth herald, and: Semi-weekly news (Plattsmouth, Neb. ).